The investment contest is handled by the Ministry of Justice under the auspices of the Government of Canada. As of April 4, no participant registered for an investment tender for the sale of the Kyiv's Lukyanivka remand center, the Deputy Justice Minister for the penitentiary system Denys Chernyshov said on 4 April. Chernyshov said that not a single contestant has registered to take part in the investment contest, despite the alleged attractiveness of the period property and its location. The deputy minister reminded that the investment project is being carried out by the ministry's project office under the aegis and with the funding of the Government of Canada. On 2 February, the Ministry of Justice announced a tender for the sale of the history prison buildings in Kyiv and Lviv. The competition is held on the principle of public-private partnership, which means that the investor will first have to build a new detention center and then use the site on which the old pre-trial detention center was located. 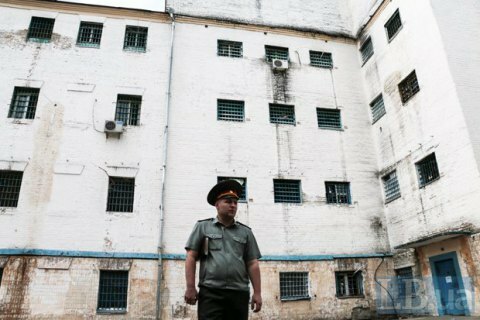 In 2015, the Ministry of Justice announced plans to close 19 penitentiary institutions across the country, including Lukyanivka, which is planned to be relocated beyond the city borders.